Richard Trevithick was a British inventor. Born in Illogan, Cornwall, he was the son of a mine engineer. As a child would watch steam engines pump water out of the deep tin and copper mines which were common in Cornwall. Why is Richard Trevithick famous? 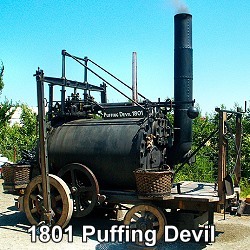 In 1801, he built the "road locomotive", which became known as the "Puffing Devil". It was one of the world's first road vehicles to move under its own power and carry passengers. 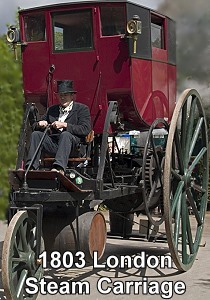 In 1803 he built another early self propelled road vehicle, the "London Steam Carriage" - a stagecoach fitted with a steam engine. In 1804 he built the first steam engine tramway locomotive - Penydarren Locomotive - a steam-powered vehicle to replace the horse-drawn carts on the tramways. On 22 February the world's first locomotive hauled 10 tons of iron, 70 men and five wagons a total 9 miles in only 2 short hours. 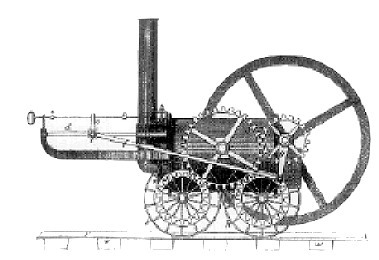 Later, other engineers (including George Stephenson) developed Trevithick's idea. 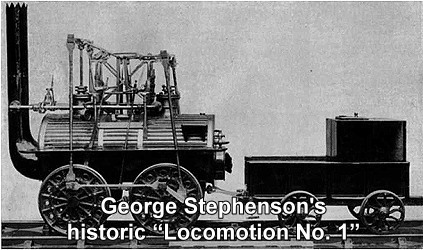 George Stephenson is credited to have built the first true railway locomotive which was first used on the Killingworth Colliery Railway on the 27 July 1814. 13 April 1953: British publishing house Jonathan Cape publishes Ian Fleming’s first novel, Casino Royale, introducing the world to literature's most famous spy: James Bond, 007.